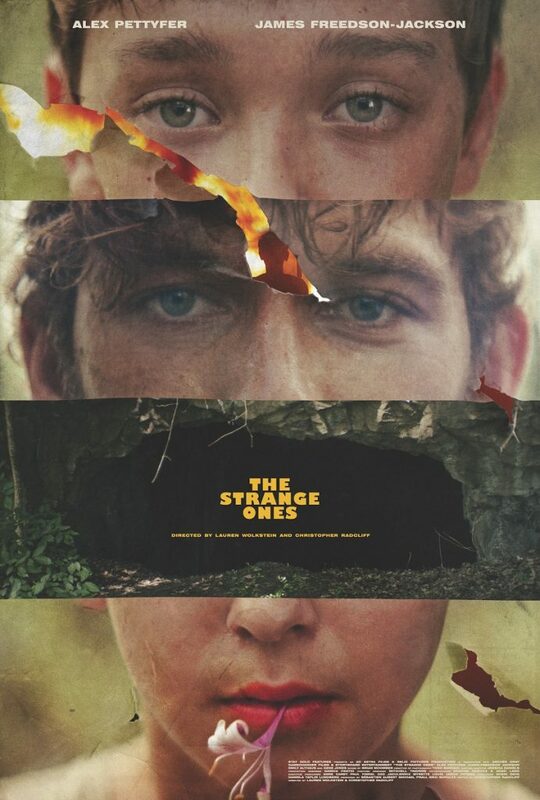 The trailer for The Strange Ones suggests that the film will earn its title. Ominous and filled with dread, not much of the film’s mysteries can be gleaned. That’s probably for the best (this is a flick you want to see with few expectations). Magic Mike heartthrob Alex Pettyfer stars in this dark and mysterious thriller – wherein there is a lot more going on than meets the eye. Mysterious events surround two travelers (Pettyfer and James Freedson-Jackson), presumably brothers, as they make their way across a remote American landscape. On the surface all seems normal, but what appears to be a simple vacation soon gives way to a dark and complex web of secrets and lies. A film festival darling, The Strange Ones has earned strong awards accolades (Official Selection at SXSW and OutFest 2017), including “Best Breakthrough Performance” Special Jury Award at SXSW for James Freedson-Jackson. It also made the top three in John Waters’ “Best Films of 2017” list, so you know it must be an unusual little gem (with a leaning toward the “fucked up”). Co-writer/directors Christopher Radcliff and Lauren Wolkstein are NYC-based filmmakers best known for their award-winning short films, including Jonathan’s Chest, Social Butterfly and Cigarette Candy, which have screened at hundreds of film festivals worldwide including Sundance, SXSW, Rotterdam, Clermont-Ferrand, AFI Fest and more. Their first feature film, The Strange Ones is an adaptation of their short film of the same name. Check out the trailer for The Strange Ones below and make sure to pre-order your copy here. It comes to DVD in April.